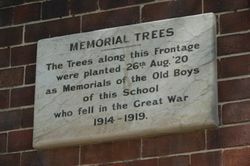 Trees planted along the frontage of the school commemorate Old Boys of the school who died in service or were killed in action during World War One. 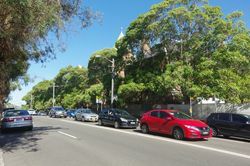 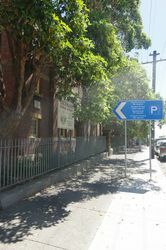 In the absence, through illness, of the Minister for Public Instruction, the Sollcitor General, Mr. R. Sproule, M.L.C., yesterday unveiled the supplementary honour roll of the Leichhardt Public School, at the request of the Leichhardt Parents and Citizens' Association, and also performed a tree-planting ceremony. 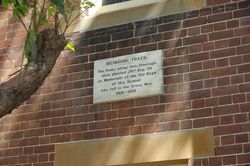 The Sydney Morning Herald (NSW), 27 August 1920.